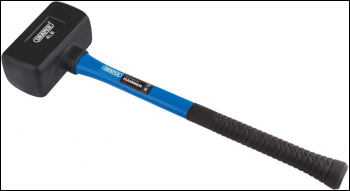 Dead blow hammers ideal when the need for knocking off wheels that have seized to hubs arises. Designed to minimize damage to the struck surface whilst also delivering minimal elastic rebound helping avoid accidental damage to surrounding areas. Fitted with a fibreglass shaft and soft grip handle for added user comfort.